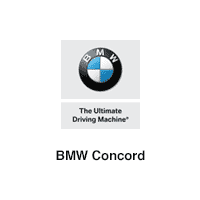 Your BMW Provider for Concord. In the market for a new luxury car near Walnut Creek? Then make your way to the BMW dealership Concord drivers rely on for our selection, quality, and service. BMW Concord is your source for new BMW models like the BMW 4 Series, BMW X5, and BMW X4, as well as plenty of used and Certified Pre-Owned BMW vehicles. Count on our BMW finance center for all your lease and financing needs, including a rotating selection of BMW vehicle specials. Use our online payment calculator to determine your monthly payment, and apply for financing to get pre-approved today. If you’re looking for BMW service, our factory-trained and certified BMW technicians will use state-of-the-art diagnostics to provide the professional maintenance and repair service needed to keep your Bimmer running safely in top condition on the roads in and around Fairfield and Vacaville. In addition, we carry a comprehensive inventory of BMW OEM parts and accessories, and the experts in our Collision Center can take care of all your auto body needs, from minor dings to major collision repair. Find Premium BMW Vehicles, Parts, and Services Near Lafayette! As one of the premier BMW dealers near Pleasant Hill, we’ve got all of your luxury auto needs covered every day of the week. Our dealership is located just a short drive from most Bay Area cities at 1967 Market Street in Concord, CA, next to the 242 freeway, and you can contact us online to set up a test drive or schedule service today!